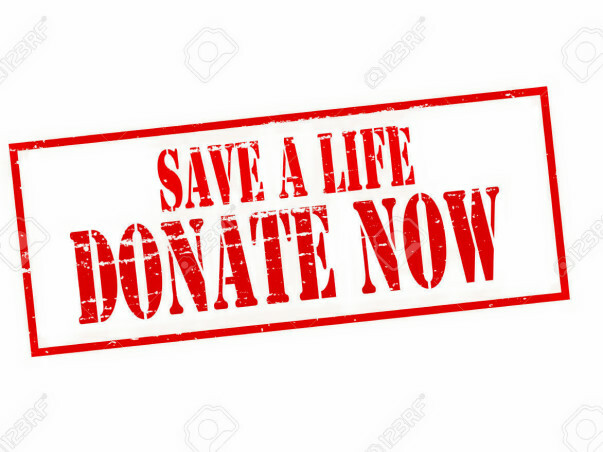 Support Durgesh Vaghamshi's Fight Against Blood Cancer! This is a fund raiser for Durgesh Vaghamshi, Ahmedabad Gujarat. Durgesh is 26 year old man staying in Ahmedabad, originally from a village near Somnath ( Gujarat). Durgesh is fighting against blood cancer( Acute Myelomonocytic leukemia) to survive and is in the last stage. It was detected on 7 June 2017 only. Durgesh belongs to a family which is not doing so well. He is the only bread earner for his family of 4. Currently, the treatment is going on at Zydus Hospital Ahmedabad, the treatment will go on for minimum of 45 days which will include, Chemotherapy, WBC, RBC and platelets transfusion and also maybe Bone marrow transplant. The total estimate of the medical treatment is around 25 Lacs, the medical insurance coverage is around 3.5 lacs. This fund raiser is created by Durgesh's colleague and friends from work. Need help to get Durgesh back to his normal life. 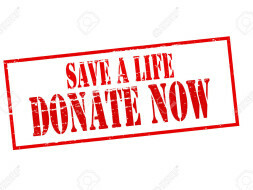 Please Donate .. please help! Lets save a life. Durgesh underwent overall 4 chemotherapy. Unfortunately, immediately after 4th therapy, his blood pressure went down and he fainted while walking in hospital itself and he was put under ICU for 1 day and there also his health didn't improve and RBC went very low. 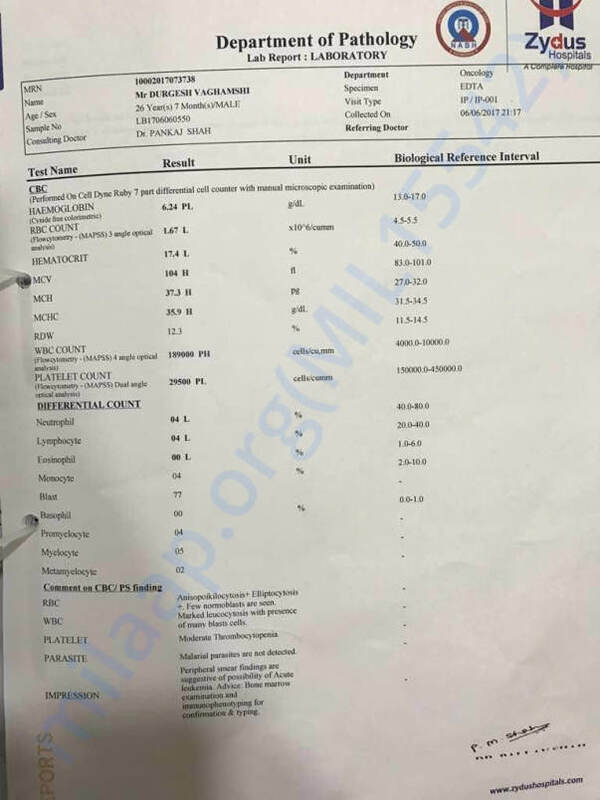 Again after running tests, doctors declared he is infected with Sepsis. He was put on ventilator on evening of 3 rd October 2017 but after 12 hours doctors declared him dead. On 4 October 2017 morning 8 : 30 am, Durgesh sadly passed away. The amount collected was used for his treatment at Zydus Hospital, Ahmedabad. The remaining amount we are giving to his parents for the immediate use as Durgesh was the only bread earner for his family. Thank you for the support and prayers, may his family have the strength to bear this loss. We have some exciting news to share with you today. Durgesh's health has improved a lot. After being administered with the first cycle of chemotherapy; the doctors conducted a few tests and could find no trace of cancer. His blood count has also come to normal. Just as a precautionary method he is being administered another cycle of chemotherapy. He has minor side effects like blurred vision and weight loss. He was on a liquid diet earlier and now he can eat anything. We will keep you posted on his health. We could not have helped him if not for all of your help. Thank you for all the love and support. Secound round of chemo ongoing, doctors have said " his immune system is very weak" hence, we are not allowed to visit him. He is responding the chemo but blurred vision now, which is expected to recover. God bless u my dear frnd......am also working in Ford.